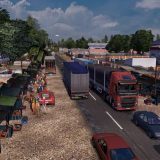 It’s obvious that trucks are the main thing in Euro Truck Simulator 2 game. That’s why it’s so important to take care of your trucks and upgrade them in all the possible ways if you want to succeed in this game. 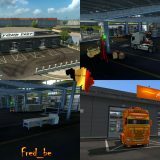 Even though it’s not a lot of opportunities for upgrading vehicles in the game but you can always download free ETS2 Truck Skins mods which will noticeably improve all of your trucks. 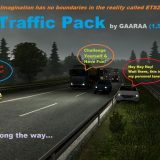 Within installing these mods you’ll get much more opportunities and features which will help you to compete with other ETS2 players. 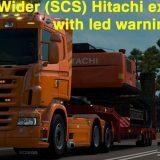 You won’t spend a lot of time while installing ETS 2 Truck Skins mods so grab all these mods now! You can be successful in this game. The most important thing is to take advantage of the chances that are given to you. Download Euro Truck Simulator 2 Truck Skins mods now and enjoy ensure brand new possibilities for all of your trucks!